Jeebsy and pez81 like this. 28.7 on a drive from Swindon to Holyhead. 13.something on the way home from work where I found out the limiter isn't at 155. Dan Marshall, TahirS and mancdan like this. I knew my limiter didn't work when after changing from 3rd-4th on an ambitious drive I was at already at over 1 and a half times the motorway limit plus! We need an autobahn! 32mpg, car fully loaded with wife, 2 kids and a boot crammed with all their stuff. Constant 70(ish) over quite a few motorway miles. .......er.....11mpg .......or 11.something, I wasn't really looking at my DIS at the time as I was looking at the next set of bends. Manual mode with the revs firmly in the optimum power band and lots of twisty road ahead and behind. Both cases are not that common, my DIS says I've averaged 26.8 over 4000 miles which is nearly a year's worth of mixed town and fast A road with a little motorway here and there....With plenty of moments of joy....so ill take that from a mental estate car any day of the week. In short; it's much better than I dreamed of. You should have specified average rather than instant mpg. I don't know about the worst but this is about the best I recall. Going all shy on me Jeff? *Ahem* - I'm still running her in ok..!?! 38.5 over 300 miles from Scotland to Shropshire. 32.7 mpg best in many miles of average speed cameras. 11 mpg worst! (And see low teens regularly in a very slow commute). Saw 35 once on a steady 60 / 50 mph run starting off with a warm engine. Long term dis average over 5000 miles is 27 mpg. I'm quite delighted with the mpg in this, its not exactly what the car is about but talk about having your cake and eat it. I don't notice any real world difference in petrol costs between this and my old 8p S3. But it is in a lower tax band that the S3 which is nice! 8000 miles in – i don’t bother looking at the DIS as its not accurate. ERBY and scotty76 like this. Haha - I actually used to think there was a little hole in the tank of my B6 S4. Driving through Germany last year, opened it up on the d-restricted roads still got reasonable mpg. Showed 175mph with more to go !! Calum Beaton, CarbonMike, Chop. and 1 other person like this. View attachment 56244 Driving through Germany last year, opened it up on the d-restricted roads still got reasonable mpg. Showed 175mph with more to go !! 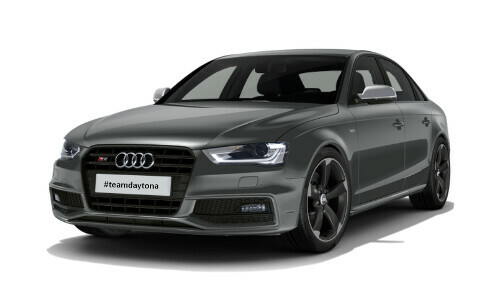 @Alan Dickinson - So I'm assuming the factory 155mph restriction on the B8 / B8.5 S4's are a load of rubbish then Alan? 165mph was in 6th gear, you can just about see it in picture (wife took picture by the way I wasn't about to take eyes of the road) a great car to drive, good fun and comfy on the long runs. How do you get the speed reading in the DIS? You just scroll through the DIS display functions, speed is one of them. Always have mine set on this, I find it much easier at a glance than the speedo. Chop. and scotty76 like this. at a glance than the speedo. Hey, Planet B8 just gets better and better. Can't wait to land. ERBY and StuBill like this. I tried fitting a set of those to my B7, but just couldn't get them to screw in tight. Gave it up in the end. Might revisit the idea with the S4. TahirS It is all about that BEARD! With Lewis getting the win today I got a bit enthusiastic and got a whopping 12mpg. Great fun taking BMW enthusiast out. Made his 6 series seem like a slow coach. It was showing 40.3 before a bit of stop start stuff at the end. Usually much worse than that! TahirS, Chop. and xpoweruk like this. Don't know, don't care as I don't pay for fuel. Currently tracking my MPG on an app so I'm pretty accurate at an average of 22.33 over the last 7000 miles. Not exactly the most frugal of machines these things!. Tho I'm pre-facelift so dont have start / stop etc to improve economy. BH, Can you explain the "playing with the blue BMW"?